Model T Ford Forum: Is it a K or is it not a K? 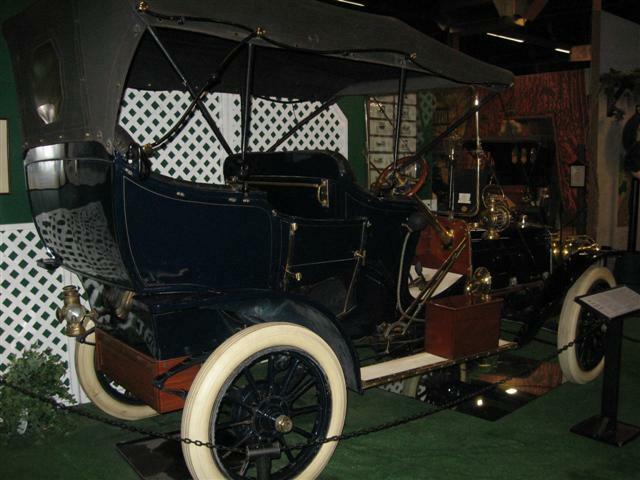 Model T Ford Forum: Forum 2011: Is it a K or is it not a K? 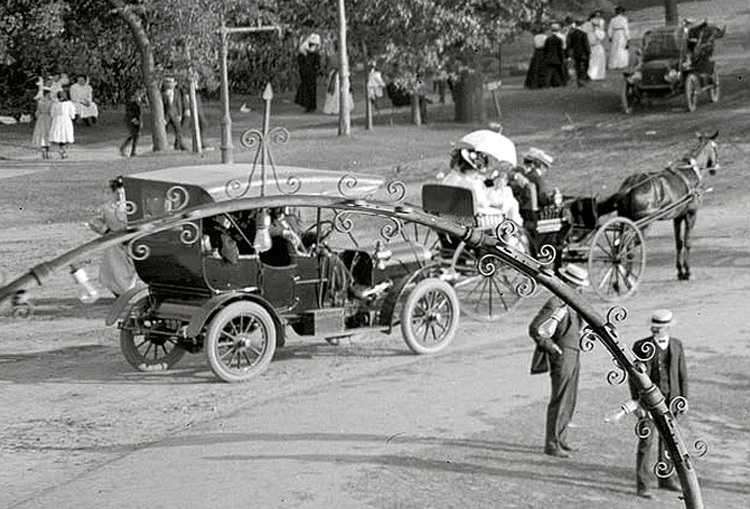 Something about the shape of this car on Shorpy suggest Model K to me, but of course I could be quite wrong! HI DAN,The car Is not a ''K'' . 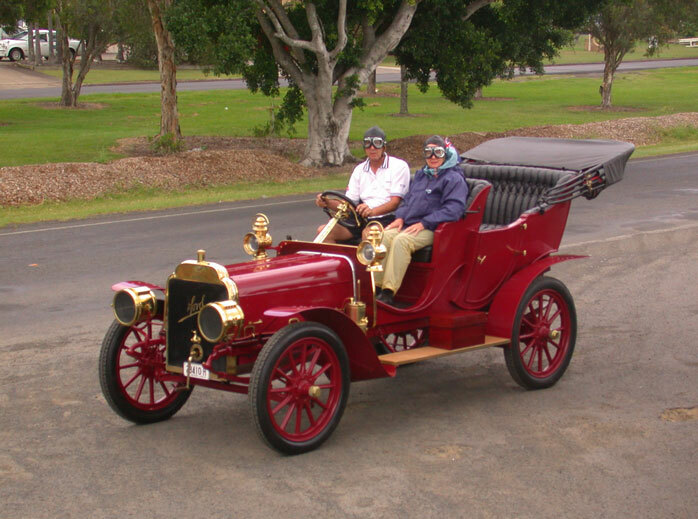 A ''K'' FORD does not have a raised centre section running through the hood. Thanks Bob, I saw that line on the hood, but took it to be reflection or shadow. It is definitely not a Model K Ford. 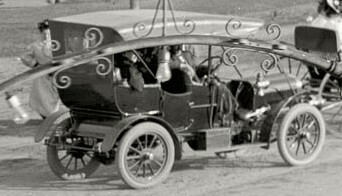 It looks a lot like a 1906 Queen Model K.
Actually , there IS a version of the " K " Ford that has a raised center section of the radiator , and a matching raised center section in the hood . When I first saw this thread I thought it might have been about Rob Heyen's new secret car!!!! Thanks for lightening my pic, Art. Hadn't thought to do that. DOUG ,I WOULD BE INTERESTED TO SEE SUCH A PICTURE OF A ''K' LIKE THIS. DOUG, I would like to see a picture of such a ''K'' WITH A RAISED BONNET SECTION. 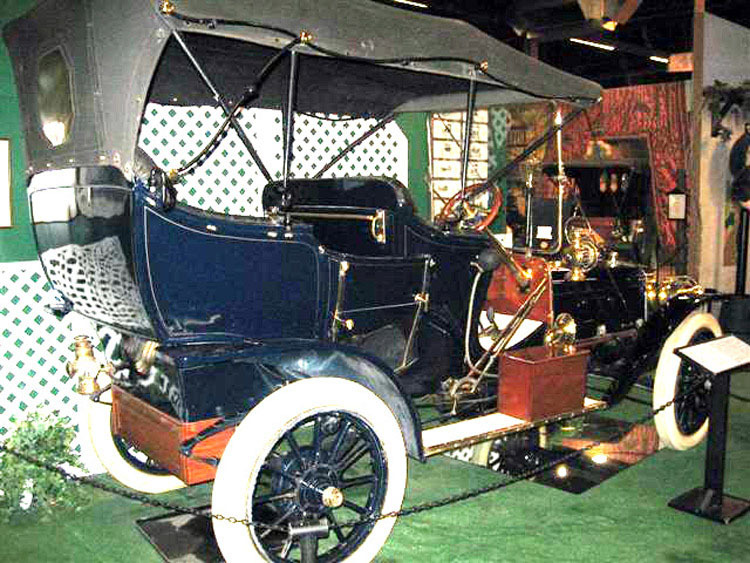 Bob , The Harrah Collection had one fully restored , they called it a 1906 " K " . I don`t know where it is now , but I saw it every time I went to the Collection in the 1970`s ( about twice a year , on average ). I`m sure pictures are available . I think the confusion stems from the early "humped" radiator such as yours. Some light/reflection cause photos to look as if the "bonnet" is raised to match the rad. HELLO ALL !! O.K. , I stand corrected !! I remembered the Harrah`s car as having a raised hood section . I was sure about the radiator . The last time I saw it was about 1982 , or so . Time and memory sometimes play tricks , and I`m certainly not going to continue this mistake as some might . Thank you for correcting the record , as that is what is most important here , not my ego ! !